Andrea Palladio (born November 30, 1508 in Padua, Italy) transformed architecture not only during his lifetime, but his reinterpreted Classical stylings were imitated from the 18th century until today. Today Palladio's architecture is a model for building with the 3 rules of architecture attributed to Vitruvius—a building should be well-built, useful, and beautiful to look at. 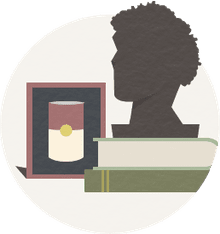 Palladio's Four Books of Architecture was widely translated, a work that quickly spread Palladio's ideas throughout Europe and into the New World of America. Born Andrea Di Pietro della Gondola, he was later named Palladio after the Greek goddess of wisdom. The new name is said to have been given to him by an early employer, supporter, and mentor, the scholar and grammarian Gian Giorgio Trissino (1478-1550). It is said that Palladio married a carpenter's daughter but never bought a house. 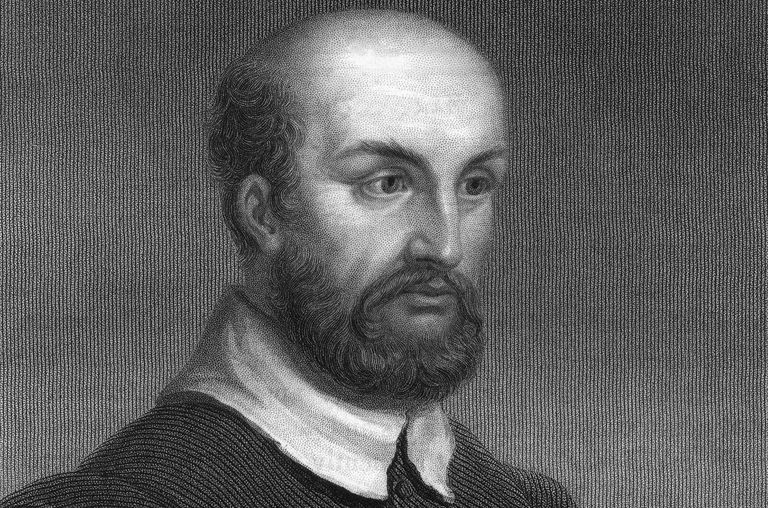 Andrea Palladio died August 19, 1580 in Vicenza, Italy. As a teenager, the young Gondola became an apprentice stone cutter, soon joining the guild of masons and becoming an assistant in the workshop of Giacomo da Porlezza in Vicenza. This apprenticeship proved to be the opportunity that brought his work to the attention of the older and well-connected Gian Giorgio Trissino. As a youthful stone cutter in his 20s, Andrea Palladio (pronounced and-RAY-ah pal-LAY-deeoh) worked on renovating Villa Trissino in Cricoli. From 1531 to 1538, the young man from Padua learned the principles of Classical architecture when he worked on new additions for the villa. Trissino took the promising builder to Rome with him in 1545, where Palladio studied the symmetry and proportion of the local Roman architecture. Taking his knowledge back with him to Vicenza, Palladio won a commission to rebuild the Palazzo della Ragione, a defining project for the 40-year-old budding architect. Andrea Palladio is often described as the most influential and most copied architect in Western civilization after the Middle Ages. Drawing inspiration from the architecture of ancient Greece and Rome, Palladio brought decorative columns and pediments to 16th century Europe, creating carefully proportioned buildings that continue to be models for stately homes and government buildings throughout the world of architecture. Palladio window design came about from his first commission—rebuilding the Palazzo della Ragione in Vicenza. Like architects today, Palladio was faced with the task of rejuvenating a crumbling structure. The success of this design not only influenced the elegant Palladian window we use today, but it also established Palladio's career during what became known as the High Renaissance. The building itself is now known as the Basilica Palladiana. By the 1540s, Palladio was using classical principles to design a series of country villas and urban palaces for the nobility of Vicenza. One of his most famous is Villa Capra (1571), also known as the Rotunda, which was modeled after the Roman Pantheon (126 A.D.). Palladio also designed Villa Foscari (or La Malcontenta) near Venice. In the 1560s he began work on religious buildings in Venice. The great basilica San Giorgio Maggiore is one of Palladio's most elaborate works. Palladian Windows: You know you're famous when everyone knows your name. One of the many architectural features inspired by Palladio is the popular Palladian window, readily used and misused in today's upscale suburban neighborhoods. Writing: Using the new technology of movable type, Palladio published a guide to the classical ruins of Rome. In 1570, he published his masterwork: I Quattro Libri dell' Architettura, or The Four Books of Architecture. This important book outlined Palladio's architectural principles and provided practical advice for builders. Detailed woodcut images of Palladio's drawings illustrate the work. Palladio's architecture has been called timeless. "Stand in a room by Palladio—" writes Jonathan Glancey, architecture critic for The Guardian, "any formal room will do—and you will experience the feeling, both calming and elevating, of being centred not just in architectural space, but in yourself." This is how architecture should make you feel.